From the blackest bubbling cauldrons boiling within the bowels of the human (and inhuman) psyche comes UNDEVELOPED, the fourth and fiercest descent into abstract nightmare pop from ohGr. Conceived and personified by legendary dark experimental electronic music pioneer (and newly minted actor) Nivek Ogre and sonically grounded by mad machine music scientist Mark Walk, ohGrs distinctive brand of psycho-sexual sound shock screams and slithers across the creepy canvas of UNDEVELOPEDs fourteen interconnected tracks, birthing a majestic, layered tapestry of icy, deaths-head metal-dance music that is as intense and emotionally provocative as it is playfully macabre. Evolving from the initial wreckage of Ogres groundbreaking and influential (and long since smashingly reborn) band SKINNY PUPPY, the concept behind ohGr was to shed some much needed light on the frightening audio/visual assaults that put PUPPY on the map and forever draped the frontman/lyricist/performance artist in shadowy myth. Their first release, 2001s WELT, did just that, cleaning-up Ogres infamous acid gargled vocal treatments to reveal more of his humanity and humor while - with the aid of Walks kinetic orchestrations  never letting the high-tech aural horror relent. Their 2003 follow up album SunnyPsyOp was another example of the duos high energy anti-anthem aesthetic, with a sound that seemed forged from broken robots, satanic guitars and psychedelic buzzsaws. 2008s DEVILS IN MY DETAILS however produced after Ogre, Walk and Cevin Key revived SKINNY PUPPY in 2004 with the album THE GREATER WRONG OF THE RIGHT and immediately following Ogres appearance as the mad, narcissistic Pavi Largo in director Darren Lynn Bousemans cult 2007 shocker REPO! THE GENETIC OPERA delved much deeper into the bloody, primordial muck, delivering a gleefully grim, spiky, black and hard edged conceptual record that owed as much to Ogres own signature musical history as it did to the darker moments of early GENESIS and mid-period PINK FLOYD. 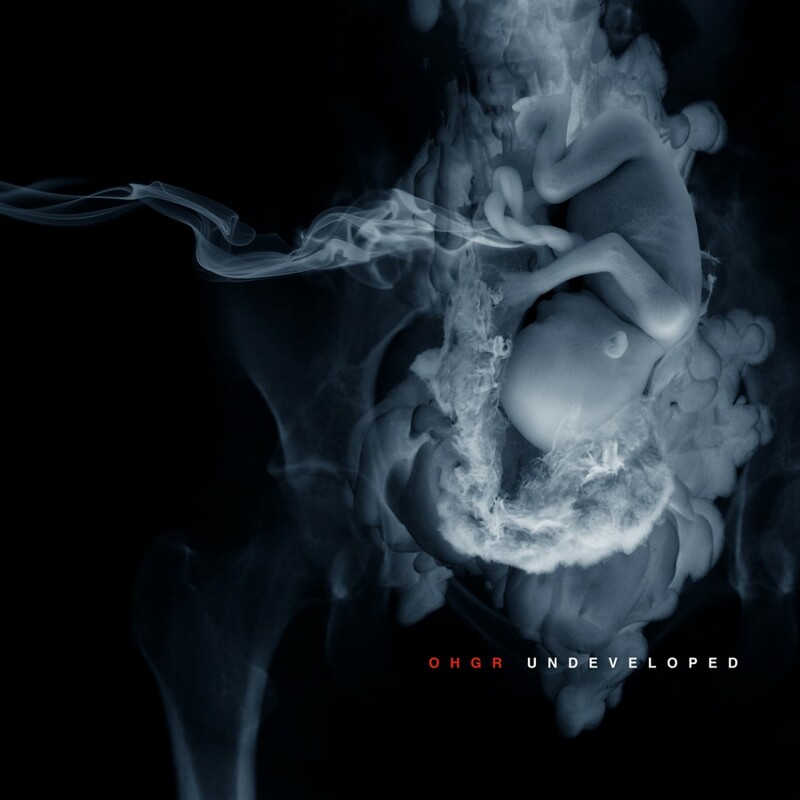 UNDEVELOPED  which also features work by longtime SKINNY PUPPY and ohGr mix-master Ken Hiwatt Marshall - continues on in DIMDs surreal and aggressive vein but takes things down deeper into the evil abyss. and who are apparently even more blood hungry now than they were in their collective youth. Listening to UNDEVELOPED front to back is like running afoul of some sort of rage-crazed, fire breathing monster. An impossibly huge beast that wants to crush your cities and eat your children and yet, even as it finally catches up to you and gets you in its scaly, taloned grasp, pulling you toward pulp caked maw and bearing down on you with its fetid breath and razor-sharp teeth, you cant help but love every terrifying, agonizing  and yet oddly charming - minute of your destruction.